What data is your government sharing with you? Governments are sharing data like never before, but what kind of data are they sharing? And how far have they come? These are some of the questions asked by the Open Data Index organisation. "An increasing number of governments have committed to open up data, but how much key information is actually being released? Is the available data legally and technically usable so that citizens, civil society and businesses can realise the full benefits of the information?," the organisation asks on its website. 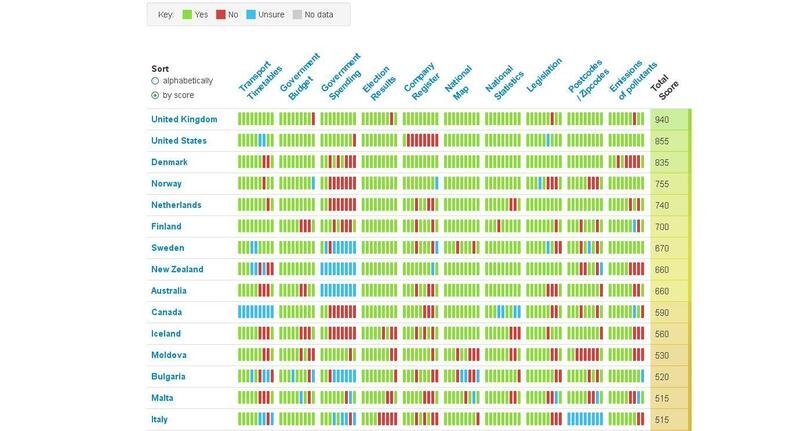 To find out exactly where government are in the process of sharing data, they have created the Open Data Country Index, which monitors what data different governments around the world has shared with the public. You can see a sample of the results here, which surprisingly shows that the UK and USA share more vital data with citizens than anyone else. You can find the rest of the results on their website. Does this surprise you? Or are there other things about the results that surprise you? And do you think that they're accurate? Let us know in the comment field below.